Using coupons can be a great way to save money each week but it is also a perfect opportunity to give back to the people within your community. 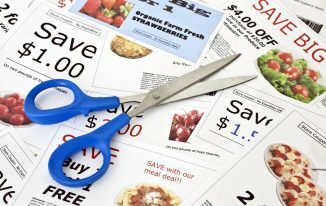 There are so many people out there that can benefit from the savings that coupons represent and this fits nicely into the pay-it-forward mantra that we at Keep Calm and Coupon love to live by and practice. If you are looking for ways to give back with your coupons then you have come to the right place. In this article we will discuss (7) easy ways in which you can do just that. Let’s get started. Probably the most basic thing you can do to help give back with coupons is just spread the knowledge you possess to others in your life and community. All of us have friends and family that could benefit from saving money each month and so many of them just don’t have the know-how that you have. Where do you find your coupons? Which coupon websites work best? 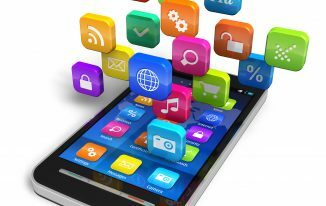 What about coupon mobile apps that save money? What is price matching? All of these are questions that so many people have but they may be embarrassed to ask you about. As the word gets out that you are saving money, and believe me it will, do everyone else a favor and share your knowledge. Over the past few years we have taken this one step farther and have been offering free couponing classes to anyone willing to listen to us talk for 2-3 hours. This way our community as a whole has equal ability to benefit from what we are willing to share. Only manufacturers coupons can be used (no store coupons). Coupons can be redeemed 6 months beyond their expiration date but feel free to also send current coupons that you know you are not going to redeem. Please don’t wait too long to send your coupons in as it does take time for them to be sorted and delivered to the receiving military families. Coupons must come from a newspaper insert or tear pad – Unfortunately at this time Internet printable coupons cannot be used. Vouchers and food stamps cannot be redeemed – please do not send them. 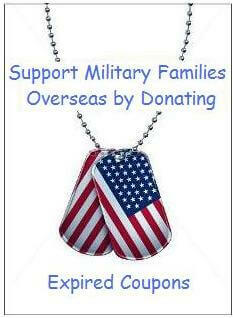 There are lots of online sites dedicated to this very worthy cause and one that we recommend can be found HERE. They are very active and outline the exact process for you to get involved and donate your unwanted or expired coupons. It will cost you very little – just the time to clip the coupons and the minimal postage to mail them in. Also, if you would like you can also get more heavily involved in this cause as there is always a need for volunteers to help keep things moving. While there are a few different variations of exactly what a ‘coupon fairy’ is ours is very basic. Have you ever been shopping and found a coupon lying next to an item you needed to purchase? Well, you were just on the receiving end of a coupon fairy. This is one of our favorite things to do with our unwanted coupons especially those for baby items such as diapers and formula. Having two children of our own we know all too well how expensive having a baby can be and how much saving money can help out a family. We would much rather give our unwanted coupons away and avoid throwing them out. It is also very easy to do and costs you absolutely nothing. Do you have a friend or family member that could benefit by saving some money? The answer for all of us should be yes. Have you considered giving them your unwanted coupons especially if you know they could benefit from them (see the baby example above). We have had numerous co-workers that would bring in their newspaper coupon inserts every Monday and let the rest of us in the office clip the ones we needed. We have also heard of several church groups that pool together unwanted coupons for the benefit of others in the congregation. In the end the goal is to stop throwing away potential savings for others in need. Feel like being social? How about creating a coupon group with your friends which will give you one more excuse to have a get-together or party. 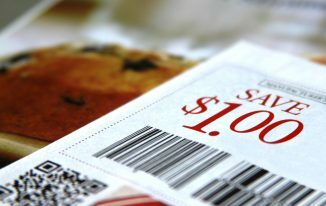 These are actually gaining in popularity as couponers look for new and fun ways to gather and swap/share their coupons. Not that outgoing? No problem there are hundreds of Facebook groups dedicated to linking couponers together with the sole purpose of sharing or trading unwanted coupons to others who need them. This works very well for those of you with young children who find yourself searching high and low for baby related coupons such as diapers. Lots of other couponers are more than willing to share or even give away their baby coupons to other families in need (especially if they do not have young children and for them these coupons would generally go to waste). Sometimes it is the little things that can make the biggest difference. 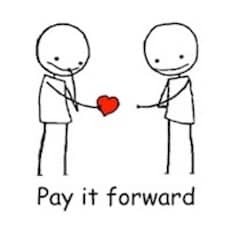 There is no easier way to make someone smile than to slip them a coupon for a product they are preparing to purchase and save them a buck or two. We do this all the time while we are shopping at the grocery store. Once we even brought a woman to tears by slipping her a $20 off $100 coupon while she was in the process of checking out. She told us after that money was very tight for her and that this would help put gas in her car. Definitely not the response we thought we would get but it certainly made our day to know that our small act of giving made such an impact on someone. It just goes to show that you never know exactly what is going on in someone else’s life. 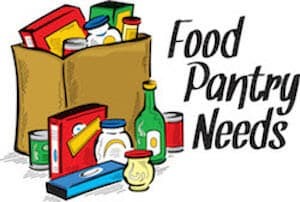 If your community has an active food pantry or homeless shelter then this may be a great opportunity to put your coupon skills to the test for the benefit of those that are less fortunate. Do yourself a favor and reach out to them directly first to find out what they need the most in order to maximize the impact of your efforts and not provide them items that they may not necessarily have a need for. We work with one of our local shelters to help them out with various needs such as hygiene products. When we are lucky enough to find a clearance sale or coupon deal that allows us to get products for little to no money we will use that opportunity to help stock the shelves at the shelter. It makes us feel like we are doing our part to help out our community and in the end it really only costs us our time and a minimal amount of money. If you have a knack for extreme couponing (which is really not our thing) then you could really have a significant impact on this very worthy cause. In the end it is all about using coupons in order to give back and in the process make your community a better place. Equally as important is the positive effect that this can have on you as a couponer and a member of your community. Keep in mind that no effort is too small as we all have our own lives to manage and live. Don’t overextend yourself by trying to do too much all at once. This will only cause you unnecessary stress so start out small and make any act of giving work for you. Just do something!